We are the Hendersonville,TN moving company offering all the necessary materials for your next move. We have boxes ranging in size from 1.0 to large wardrobe boxes. We have all the newsprint and bubble wrap needed. Shrink-wrap is available at request. First Choice Moving and Storage also provides you with the building of specialty crating. This crating can be built and protected at any location. We will come out and take all the necessary measurements needed to design the crate. 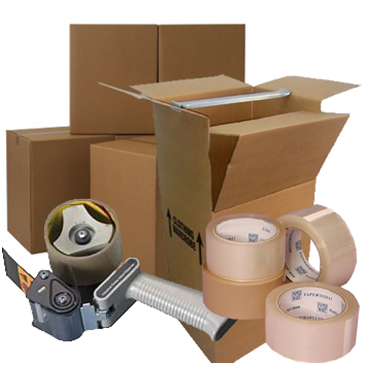 Our experience in packing and moving customers as a seasoned moving company in Hendersonville, TN has shown that the quality of packing and of packing supplies used is critical to a successful move. When you have First Choice professionally pack your home or office, you’ll receive the same premium quality service we’re known for on moves. Our highly skilled, trained employees will wrap your valued possessions in packing paper or bubble wrap before carefully placing each item in the appropriately sized box. They then mark each box with the critical identifying information for optimum efficiency for the move and unpacking. Whether you need us to pack your home from start to finish, or simply assist with your most precious possessions, one of our Hendersonville, TN moving company consultants can assist you in booking the right services for your needs. First Choice Moving and Storage also offers complete unpacking services to help ease the transition into your new location. When planning your next move, don’t wait until last minute to scramble for boxes and packing supplies. Call one of our moving companies in Hendersonville, TN or Clarksville, TN for everything you’ll need. Getting the right kind of moving boxes, getting enough of them and getting quality packing supplies can make all the difference. Call First Choice first and you’ll have one less thing to worry about. What is 77 plus two?